Happy Friday and welcome to the 3DB. The original stealth airplane was called the Night Stalker and was built in the late sixties by Lockheed for the Army to use in Vietnam; however, before we talk about that airplane let me tell you what I know about the current airplane, which is very similar, being used around the world as its replacement. 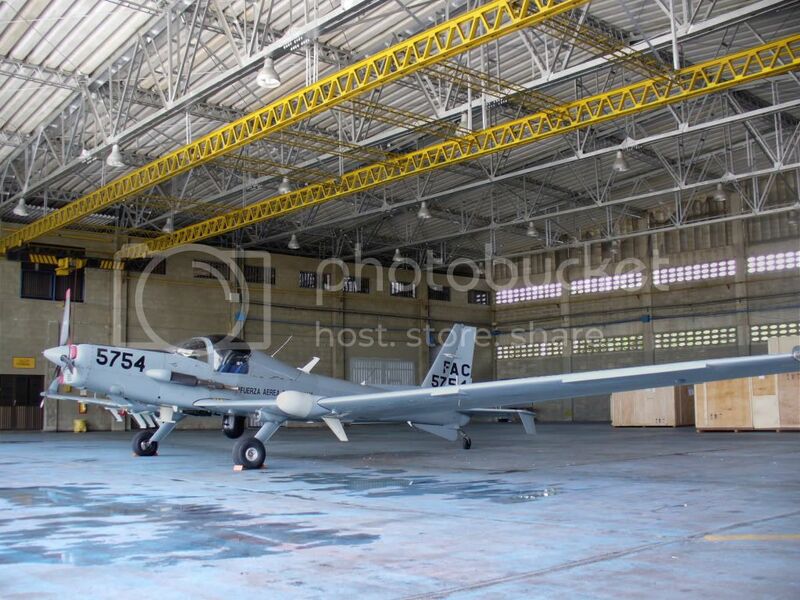 The replacement airplane that is currently being used by DOD, and several three letter government agencies in certain areas of the world, has also been sold to Colombia, Mexico, Jordan, and a few other countries. This airplane is a modified Schweizer sailplane that has been fitted with a Lycoming TIO-540 and a three bladed propeller. I believe that the U.S. arranged for the folks with “Plan Colombia” to buy four of these but I am not aware of how successful the program was. What I do know is that an old friend, who was killed in a helicopter crash about five years ago, served as the instructor for the Colombianos and he loved this airplane and its night time capabilities. The picture below is one of the Colombian airplanes that my friend flew and there is a brief overview of the airplane below the picture. This official designation for this craft is SA2-37B. Designed from the outset as a covert day/night surveillance platform, the RG-8A Condor Schweizer SA2-37B does not look like a covert spy plane. However, its sophisticated suite of FLIR, EO and electronic sensors, large payload, long endurance and low acoustic signature, enable this unusual aircraft to provide a comprehensive surveillance capability at relatively low cost. To enable the Schweizer SA2-37B to operate effectively it was designed to fly quietly, using minimum power to reduce noise and this works so effectively that above 2000 feet the aircraft is virtually undetectable from the ground. 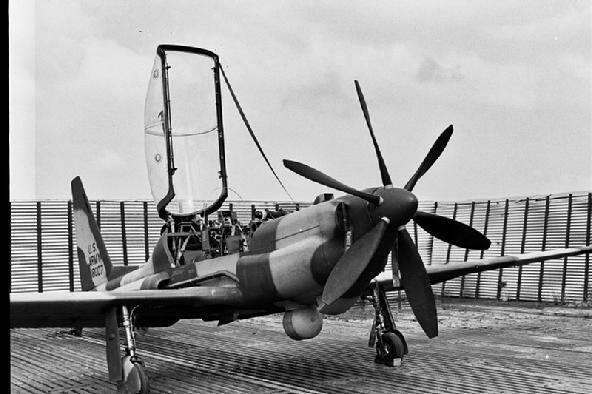 The reduced acoustic signature was achieved by a clever aerodynamic design which carefully matched the propeller, engines and various sound muffling devices. Powered by a Lycoming T10-540 engine rated at 250 hp, in quiet mode the engine can be throttled back to between 1,100 – 1,300 rpm, generating just 65 hp which is sufficient to keep the aircraft flying slowly. The clever aerodynamics and engine efficiency also gives the aircraft an excellent endurance of 12 hours or a radius of operations of 200 nautical mile while remaining on station for 7 hours. Generally the aircraft operates below 5000 feet, to give the optical sensors the best possible views, but it also has a 24,000 feet service ceiling and can undertake high level missions. The SA 2-37B can carry up to 510 pounds of sensors and associated equipment in a 70 cu ft payload bay in the fuselage. The payload bay was designed to accept modular systems enabling different sensors to be changed quickly. Now, The reason I wanted to start with the current version of a quiet airplane is to remind you that everything old is new again when our government has money to spend. I was told that the modifications and the R&D was a twenty million dollar plus program which does not include the basic airframe. I think someone reinvented the wheel when all the had to do was call 1-800-Lockheed. evaluate the use of night-vision devices in combat. Horn, a pilot and physicist, soon found himself in a patrol boat looking for Viet Cong in the canals and waterways of the Mekong Delta in the southern end of the country. With his Starlight scope, a handheld light amplifying device, he could see in the dark, but not through the thick foliage that lined the waterways. One night, rounding a river bend, Horn had a surprise encounter with an armored junk. A fire fight erupted, and Horn began wondering if there wasn’t a better way to locate the enemy. What about a spy in the sky, some kind of aircraft that could find the VC without being seen or heard? “Being a physicist,” Horn recalls today, “I figured, Let’s see, noise is energy, so how do you build a plane with low energy? I started running some equations, and what fell out was a glider.” An airframe with a high lift-to-drag ratio wouldn’t need much power, so the engine could be smaller and therefore quieter. He sent the Office of Naval Research a detailed proposal for a glider—a sailplane, technically—with a muffled engine and a propeller turning slowly enough to avoid generating a buzz from the blade tips. Crewed by fliers equipped with Starlight scopes, the result would be a night reconnaissance airplane that was very nearly silent. Americans believe that if we invent gadget X, we can get result Y and change situation Z for the better. So it’s no surprise that even before Horn had drawn up his proposal, others had visited the very same turf. The Department of Defense had been asking for new technologies to counter communist infiltration in Vietnam. Before being asked, the big thinkers at Lockheed Missiles & Space had started running analysis and brainstorming. 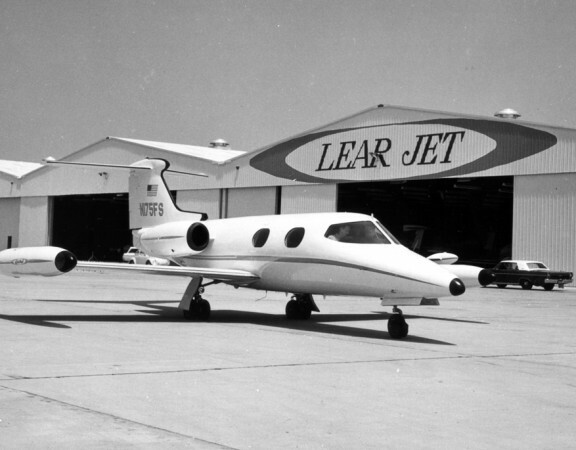 Lockheed Missiles & Space, based in Sunnyvale, California, had never built an airplane before. The division had produced the Polaris missile, designed for launch by nuclear submarines, and the first generation of spy satellites. But there was a war on, and Sunnyvale’s advanced programs group decided to take on the problem of detecting the Viet Cong. The group began by analyzing the available sensors and their ranges, and then the ranges at which various aircraft could be heard by the enemy. They discovered the problem: The VC could always hear an aircraft coming before the crew on the aircraft could hear or see the VC. What was needed, the Lockheed guys decided, was a super-quiet airborne sensor platform. They studied balloons, sailplanes, and conventional airplanes with mufflers, but found them all lacking. Then Don Galbraith, head of advanced design, suggested a powered sailplane, one with a muffler and an oversize, slow-turning propeller. Halfway around the world from young Lieutenant Horn, and about half a year earlier, Lockheed Missiles & Space had reached the same conclusion. 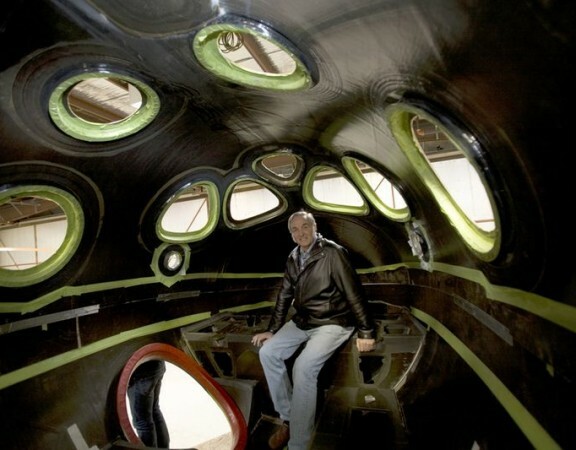 Lockheed project manager Stanley Hall, the designer of several sailplanes and known in the national soaring community, was pulled off a satellite project to supervise the quiet airplane. DARPA, the Defense Advanced Research Projects Agency, tossed in a meager $100,000 to build two proof-of-concept aircraft and sent Les Horn to be its representative at Lockheed. Horn arrived when construction was already under way; he thought he’d died and gone to R&D heaven. The tiny budget turned out to be an advantage. Because the project was so small, the military and corporate bureaucracies didn’t bother with oversight. The team set up shop behind a plywood partition in the back of the Lockheed executive hangar at the San Jose airport. Engineers and mechanics came from all over Lockheed, including the famed Skunk Works, where the exotic U-2 and SR-71 spy planes had been designed and built. But this spy plane was going to be a different: simple, designed to fly low and slow, and built and tested on the cheap. For the airframe, Hall chose a well-known commercial sailplane, the Schweizer 2-32. His team took an ordinary 100-horsepower Continental O-200 engine and mounted it behind and slightly above the cockpit, so it made a bulge in the top of the airframe, like a camel’s hump. The propeller shaft ran above the canopy, outside the airplane, to a vertical pylon attached to the nose. They tested several propellers and chose an eight-foot-diameter model with four wooden blades. To quiet the engine further, the Sunnyvale team lined the inside of the cowling with fiberglass batting and ran the exhaust through a muffler from a 1958 Buick. Instead of using noisy gears, they connected the engine to the propeller shaft with V-belts, similar to fan belts. Les Horn recalls that it was the “only aircraft flying that was powered by rubber bands.” But the engineering and workmanship were first-rate. 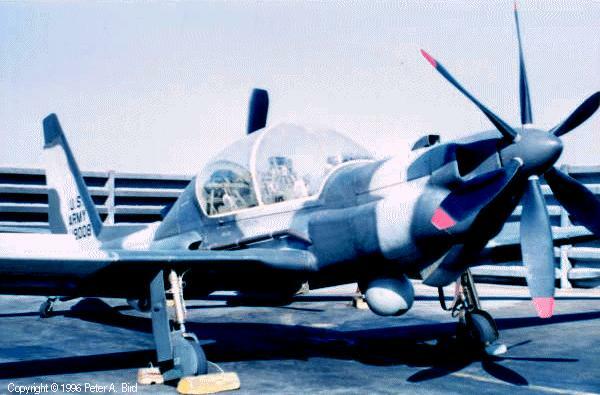 The prototype aircraft were designated QT-2: “2” for two-seater, and “QT” for “Quiet Thruster,” officially, though everybody knew it also stood for “on the Q.T.” (on the sly). 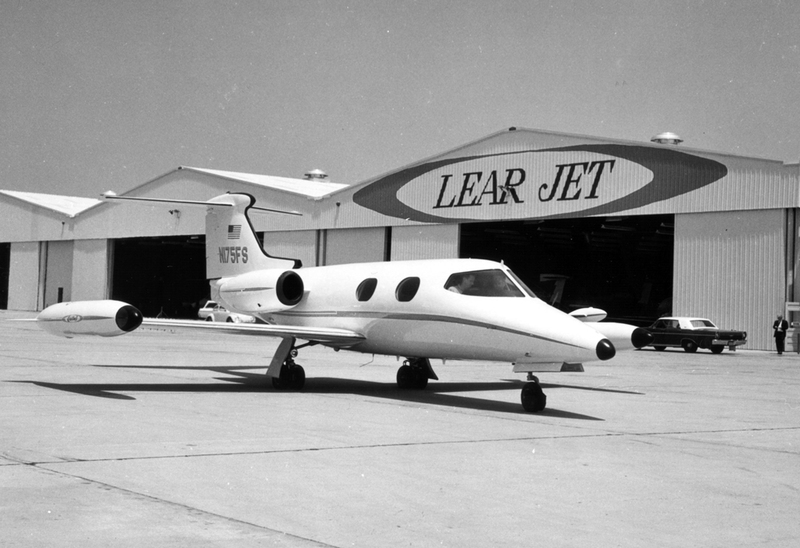 The first flight was set for August 15, 1967, at an isolated municipal airport in Tracy, California, about 50 miles from San Jose. wheels under each wing tip to keep the tips from dragging, and a small nose wheel. When the test pilot, Quint Burden, started the engine, he taxied down the runway listing to port until, at around 15 knots (about 17 mph), he had enough speed to level the wings. After he took off, he circled the field, the big wooden propeller turning at a leisurely 800 rpm, about a third the speed of a normal prop for an engine of that size. “This was a really quiet airplane, I tell you,” recalls Hall, who was there for the test flights “We could fly it at 250 feet and barely hear it at all. At 800 feet it was completely silent” to ground observers. There had been a few studies of techniques for quieting airplanes, but for the most part the Lockheed team had to figure out acoustic stealth for itself. There was ground-level masking noise, to start with—crickets and frogs in the countryside, or the background sounds of a small town late at night, which Lockheed pegged at 50 decibels. Lockheed found the QT’s overall sound level was 70 decibels at 1,000 feet. Then there was the QT’s acoustic signature, which was different from other aircraft. And it was so close to the threshold of hearing that it was perceived in very different ways. Hall thought it was “the gentle rushing sound of the ocean surf” while Burden, the test pilot, described it as an almost subliminal thub, thub, thub. Others were reminded of tires on a distant highway, the whirring of an electric fan, or a flock of birds overhead. The heart of acoustic stealth, the Lockheed guys discovered, is a widely observed but imperfectly understood relationship between detecting noise and perceiving and identifying its source. If you didn’t suspect an airplane was above you or notice that a few stars were being blocked and then reappearing, you you might not be aware of anything at all—even if a QT-2 were only a couple hundred feet overhead. Further tests revealed the QT was best flown cautiously, straight and level. 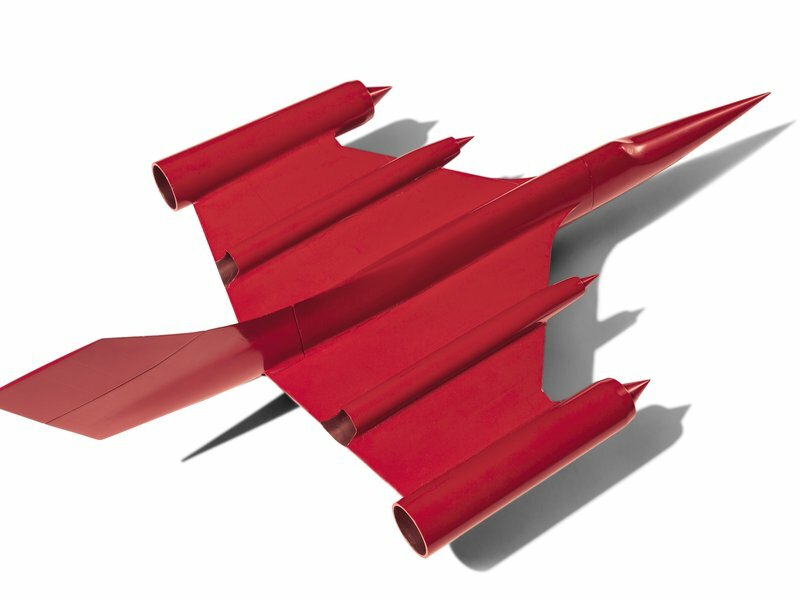 A yaw, or turn on the vertical axis, could develop into a larger yaw than expected because the area around the nose pylon was so large it counteracted the stabilizing effect of the vertical tail. A banked turn could lead to a phenomenon called yaw-roll coupling; in a slow roll, which nobody ever tried, once upside down the wings would probably fall off. “It was a very tender aircraft,” says Les Horn, who notes that the original Schweizer has an 8-G rating, while the QT-2, weighed down by an engine and other gear, had a rating of barely 2.4 G. They needed a long runway for takeoff, then the airplanes could slowly climb to 5,000 feet and cruise at 110 knots. For minimum noise, though, the best speed was down around 70 knots, which was just one knot over the stall speed. In this so-called quiet mode, the craft required only 17 horsepower to stay aloft, according to the tests. Toward the end of August 1967, the brass arrived at Tracy for a night demonstration. Asked to find the airplane, they peered upward and strained to hear something. Suddenly a bright light appeared directly above them, and the pilot boomed into his mike a single word, “Gotcha!”—amplified, of course, through strategically placed loudspeakers on the ground. Members of the delegation were suitably impressed. Further modifications were made—portholes in the sides to improve visibility for the backseat observers, a bigger vertical tail to offset the effect of the nose pylon, self-sealing fuel tanks, and military avionics. They received a couple of Starlight Scopes, and training began. Then the QT-2PCs, as the new models were called, were disassembled, put on trailers, and loaded onto C-130s. They were flown to Soc Trang, in the Mekong delta, and the trailers were unloaded and wheeled into a secure hangar, with other trailers encircling them like covered wagons to keep them safe from prying eyes. It was January 1968, and as enemy activity picked up, sandbags were being stacked up around the base. Within a day the funky little airplanes were operational. Under the command of Horn, newly promoted to lieutenant commander, there were briefings in the late afternoon, first flights after sunset, refuelling around midnight, and second flights with a change of pilots until shortly before dawn. They got in 10 hours of flight time every night. On January 30, 1968, communist forces launched a countrywide offensive during the Vietnamese new year, or TET. Soon enemy rockets and mortar shells were landing in Soc Trang. “I was supposed to get a little green card saying I was a noncombatant,” recalls a laconic Dale Ross Stith, a Lockheed avionics specialist. “What I actually got was an M-14 and 200 rounds.” With Soc Trang under fire, the QT-2s were flown to Vung Tau, which was a little more secure, and the missions continued. The QT-2 test period in Vietnam in the early months of 1968 was the first use of stealth or low-detection technology in combat and was one of the first operational deployments of night-vision devices aboard aircraft. Night after night, the QT-2 crews peered into the Viet Cong world without the Viet Cong knowing it. Through their Starlight Scopes, the backseat observers saw—in crude, two-tone green and black—heavily loaded sampans traveling on darkened waterways, truck convoys bumping along on unpaved roads, and thousands of campfires twinkling beneath the jungle canopy. They saw VC sappers—demolition teams—with explosives climbing on a bridge along a major highway and onto ocean-going junks on a southern delta river. The observers radioed reports to the U.S. Military Assistance Command, Vietnam, but at that time MACV, for the most part, couldn’t respond. The U.S. military simply didn’t have the capability to fight at night. But the potential was clear enough to James McMillan, science advisor to General William Westmoreland, the commander of U.S. forces in Vietnam. McMillan summoned Les Horn to Saigon and, giving him almost no time to prepare, told him to brief Westmoreland on the project. When Horn walked into the briefing room, “it was like a Time magazine centerfold,” he remembers, with not only Westmoreland but the U.S. ambassador, the chairman of the Joint Chiefs of Staff, and others. McMillan introduced Horn as the project officer for what he felt was his most significant science achievement in Vietnam. Horn started his briefing, knees shaking, with a grease pencil and a board. Before the briefing was over, Westmoreland was standing with him at the board, sketching surveillance missions that he wanted to run. The prototype quiet spy plane had passed its test, and now it was time to develop its successor. Back in California, Lockheed had already used its own funds to build what it called the Q-Star. A radiator from a Chevrolet Corvette sat in the nose, and the thing was even more peculiar-looking than the QT-2. The radiator cooled an exceptionally quiet marine Wankel rotary engine. When Curtiss-Wright, which owned the rights to the Wankel engine, decided against manufacturing an air-cooled version for aviation, the Q-Star became a footnote. Lockheed agreed to Stanley Hall’s proposal to develop the more conventional aircraft that became the YO-3A. (“Y” indicated pre-production; “O” stood for observation; and the meaning of “A” was unclear, possibly indicating later “B” and “C” models that were hoped for but that never materialized.) The YO-3A had a 220-horsepower Continental engine mounted in the nose and an ordinary propeller shaft in the traditional location but driven at low rpm by quiet rubber belts. It had retractable landing gear mounted inboard on the wings. The observer sat in the front under a large bubble canopy and the pilot in the back. 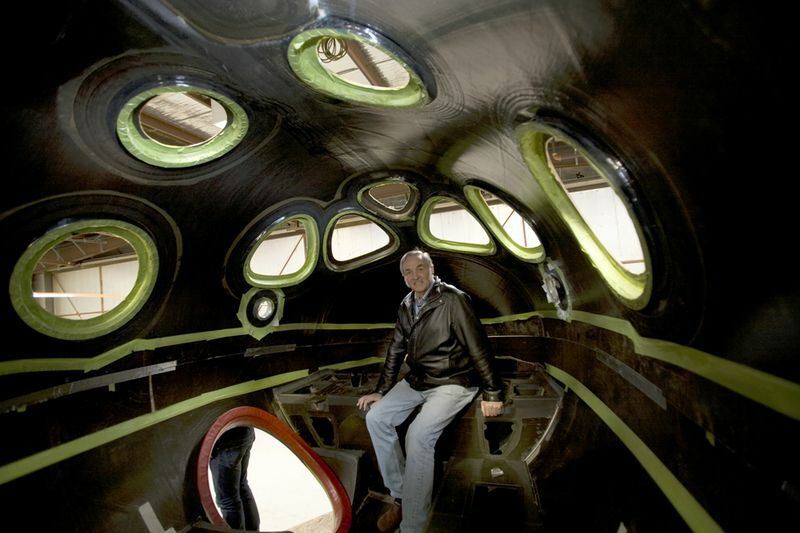 The engine compartment had several kinds of acoustic insulation and a muffler mounted on the starboard side of the fuselage. It had a brand-new sensor package, including a laser target designator that was not compatible with anything the military services had at the time. But what really set the YO-3A apart from its predecessor was that, at $11 million dollars, the program was big enough to trigger every kind of corporate and military oversight, procurement headache, and interservice backstabbing imaginable. “We could have done better,” says Stanley Hall, nominally in charge of airframe design, in reality a man whose design decisions were overruled by higher-ranking executives. The YO-3As were not only much heavier than the QT-2s (3,700 pounds versus 2,500 pounds) but also a lot noisier, with a quiet cruising altitude of 1,500 instead of 800 feet. With U.S. forces already starting to withdraw from the war, and funding levels falling, only 11 YO-3As were built. Nine were sent to Vietnam in early 1970. They were flown and maintained by the Army in Hue Phu Bai (where a few Marines flew them too) and Long Thanh North, a big base east of Saigon. The little nocturnal spy planes, nicknamed Yo-Yos, no longer enjoyed an advocate as high up the command ladder as Westmoreland, who was long gone. There was no effort to see what airborne stealth reconnaissance could achieve if given the right resources. And yet the Yo-Yos did their job well. Much credit goes to the sensor package, which had leapfrogged several generations of technology from the QT-2’s primitive night vision scopes. Never mind the laser target designator, which didn’t work reliably and was seldom used. Protruding from the fuselage beneath the front seat was an ocular, or eyeball. It was like a periscope but controlled by a joystick, and gimballed, so that the horizon always looked horizontal in the viewer. Equipped with a light amplifier for night vision, along with an infrared viewer that sensed heat, it provided a view as clear as daytime of the nighttime scene below. The infrared viewer moved in tandem with an infrared illuminator, a kind of searchlight mounted in the belly, aft of the other optics. Mark Kizaric was a YO-3A observer. A few months out of high school and a self-described pimple-faced kid, he became adept at using the ocular and manipulating the joystick. “After a while you’d get in a zone where you didn’t even think of yourself as being up in an aircraft,” he recalls. “You kinda lost contact with the real world. It was more like a video game. You’re just, you know, going along, you’re acquiring targets, noting positions, calling in artillery. On other nights and missions, the Yo-Yos worked with the helicopter gunships of the 1st Air Cavalry. “We would go well ahead of the choppers and acquire the targets, because we were silent,” says Kizaric. “We would find, you know, people sitting around campfires, hot truck exhaust, something like that. We could literally see, in some cases, people moving around on the ground. We would note the position, call in the Cobra gunships, and lock onto the target with our ocular and illuminate the target. When people on the ground heard the choppers come in, all the fires go out and they start scrambling. But it was too late then. We had them on the IRI—the infrared illuminator. The gunships had a screen that could also pick up the infrared illuminator, and so they would home in and open fire. “The YO-3 was a wonderful aircraft, when it worked,” Kizaric says. Unfortunately, the Yo-Yos didn’t always work. Fuel management glitches led to a few crash landings; one unexplained crash killed the pilot and observer. Though Lockheed fixed some of the fuel problems, morale dropped at the Long Thanh North base, and with it the number of flights per week. The Army discontinued the Yo-Yo flights in August 1971, and the military’s quiet spy plane program ended five years and many evolutionary changes after it began. How stealthy were the quiet planes? Where they flew, enemy radar was rare. They were seen by the enemy from time to time, usually when the aircraft made silhouettes against cloud layers backlit by a full moon. On moonless nights, the little planes were functionally invisible as well as practically inaudible. None of the unarmed spy planes was ever shot down, and on a few occasions, the pilots flew less then a hundred feet above and beside enemy truck convoys at night, just to see if they could get away with it. They did. They left behind some minor folklore: captured VC who wondered how U.S. artillery had tracked them in the dark, and U.S. soldiers who thought they’d seen ghosts when a silent shadow appeared directly overhead. After the Vietnam war, the Louisiana Department of Wildlife and Fisheries acquired some of the YO-3As, using them for several years to catch poachers. Most of the aircraft were bought by the FBI, which used them for about a decade for surveillance. Today NASA owns one YO-3A, currently mothballed, for making acoustic measurements of other aircraft. Most are in museums, and one is in a private collection awaiting restoration. The two original QT-2s were sent to the U.S. Naval Test Pilot School at Patuxent River, Maryland. The school had already bought some Schweizer 2-32 sailplanes and designated them X-26As, to appear to be experimental, even though they were not, in order to get around complicated procurement regulations. The QT-2s were redesignated X-26Bs, and their strange front pylons turned out to have a practical use after all, giving student pilots a chance to learn at very low speeds about yaw-roll coupling, which also affects supersonic jets. The airplanes have a few direct descendants. Schweizer Aircraft of Elmira, New York, has produced its own quiet reconnaissance aircraft line. The Coast Guard, the CIA, the U.S. Air Force, and the governments of Mexico and Colombia have used Schweizer’s single-engine RG-8 and pusher-puller twin-tail RU-38 to spot drug smugglers at night, and to electronically eavesdrop and monitor ground events without being detected. instead of sound. Compared to the manned and unmanned reconnaissance aircraft of today, the QT-2s and YO-3As were primitive. Evolution has passed them by, and they seem like some exotic, long-extinct species. Their claim to history is not their effect on the Vietnam war, which was slight, but their early role in the developing stealth field and their exploitation of the physics of sound. Other means were found to accomplish the quiet birds’ purpose, and in wars fought today, U.S. military forces own the night. Enjoy the video below and have a good weekend, but if you have to work don’t feel bad – so do I; however, we all need to take time to remember that those who will follow in our footsteps will follow our example – Don’t compromise your professional standards and I will do the same.